Ohlala is proud to have created the world's first Bloody Good tampon macarons to highlight a real issue for women around the world. We are delighted to partner with forward thinking charity Bloody Good Period to give you a delicious and easy way to help end period poverty. For every box of Ohlala tampon macarons purchased you will be providing a months worth of period supplies for those who can't afford them. All of our bespoke macarons are handmade in London, with the finest, ethically-sourced ingredients. For our BGP macarons our white almond shells are filled with fresh vanilla, raspberry or rose buttercream and finished with an authentic and edible blue ‘string’ of raspberry. Each box of eight contains two blood-red tampon macaron. Now the really good stuff: Ten pounds from every box of eight sold on our site - enough to buy a month’s supply of sanitary products - will be donated to help the fight against period poverty that affects 1 in 10 women in the UK alone, with proceeds raised going toward buying period packs for asylum seekers, refugees and women with low income. Bloody Good Period aims to create a sustainable flow (pun intended) of sanitary protection for those who can't afford to buy them. Menstrual supplies are not cheap, but for anyone with a period, they are, of course, an absolute necessity. It is absurd that they are not free for those who need them. Many living in poverty resort to using toilet paper, old scraps of fabric or nothing at all. To relieve the financial burden of being unable to afford adequate or any menstrual products at all (i.e. pads, tampons, cups), Bloody Good Period supplies over 1,000 people each month with menstrual supplies and toiletries which can cost up to £20 per cycle. 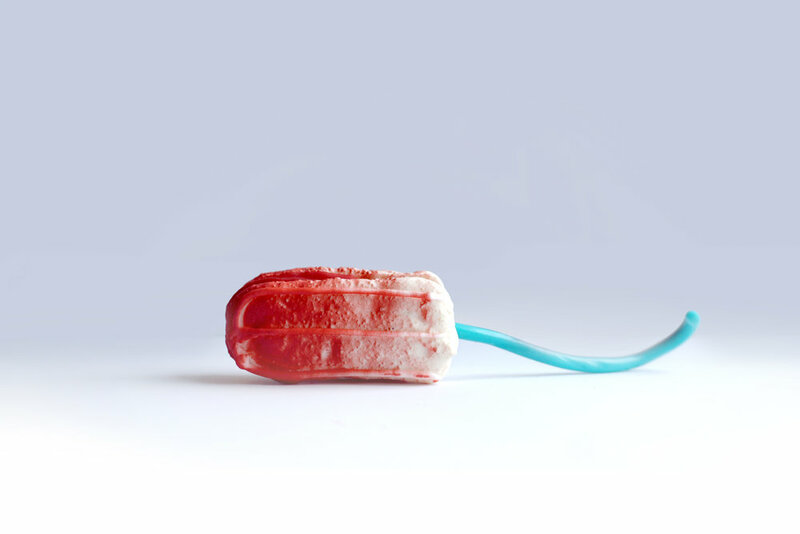 "Period poverty is bloody disgrace, it's truly shameful that 1 in 10 women in the UK can't afford sanitary protection each month. Ohlala is about supporting women through all stages of their lives and we are delighted to create a fun and engaging way that everyone can contribute to the brilliant work that Bloody Good Period does, whilst reducing the stigma of periods for everyone." Since 2012, entrepreneur Meredith O'Shaughnessy has been working with some of the world’s leading luxury brands to create bespoke creations, concepts and activations. Her company Ohlala has consistently baked fantastical edible delicacies that surprise, delight and have the power to capture people’s attention and imagination. Bloody Good Period was started by Gabby Edlin who decided something needed to be done about the fact that very few food banks and asylum seeker drop-in centres were providing feminine hygiene products - despite a desperate need. What started as a whip-round on Facebook is now a growing enterprise with a vision to end period poverty.